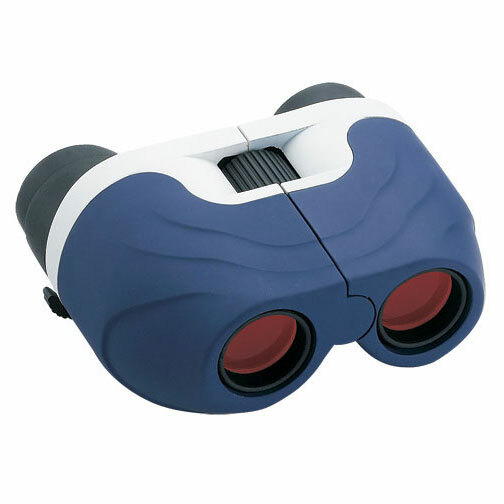 Compact zoom binocular. 6-18 power x 22. Blue/white design. Case and neck strap included. Coated lenses.